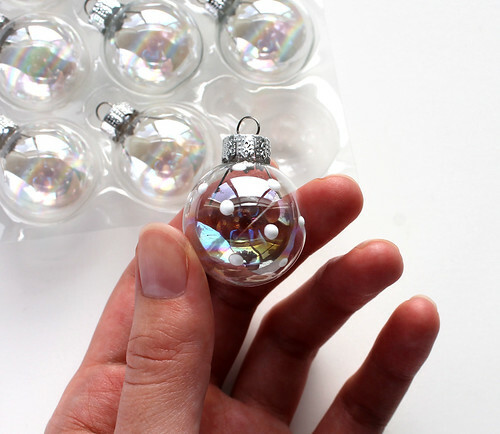 Plain glass mini ornaments. 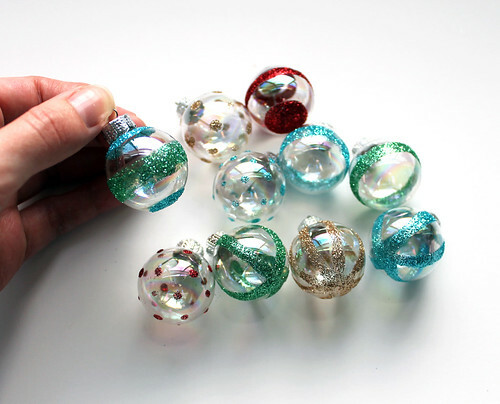 The ones I used are a little irridescent, but you could use clear glass or plain frosted ornaments. Glue. 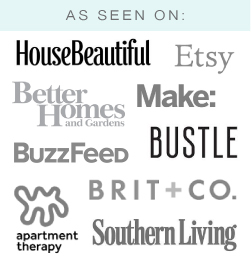 I used Mod Podge since I wanted a glue that was thin and easy to brush on. 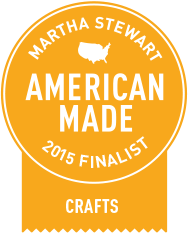 Dip the brush into the Mod Podge and paint the design directly onto the ornament. I used simple dots and stripes. For the dots, I dipped the back end of the paint brush into the Mod Podge and dotted it on that way. Over a loose sheet of paper on top of your work surface, sprinkle the glitter over your painted design. Tap it to remove the excess and to ensure that the glitter adheres to the glue. When your painted design is covered, prop it up and let it dry. 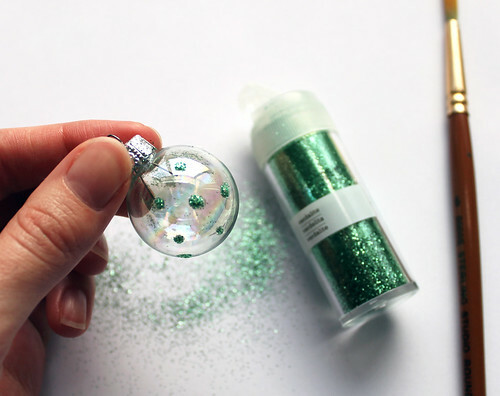 Lift the loose sheet of paper with the leftover glitter, gently fold it in half, and funnel the glitter back into its container. 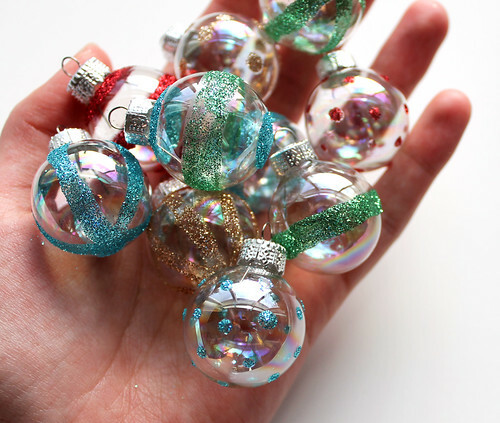 After the ornaments have dried, there will probably be glitter all over, not just on the glue design. 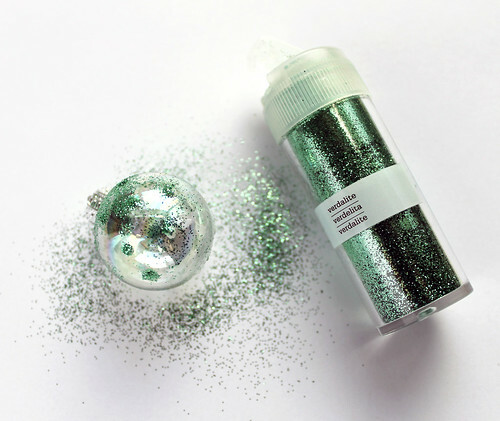 Here's a tip I used to remove the excess glitter after the design had dried: lightly spray it with a canned air duster, the kind you use on your computer keyboard. 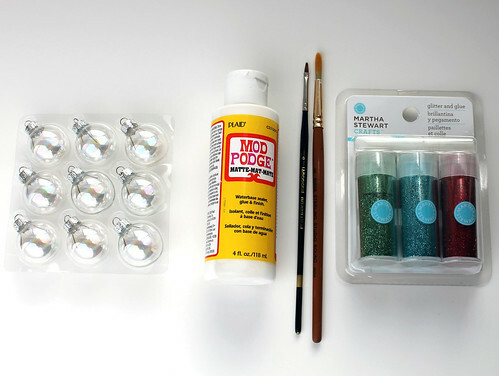 If there is still loose glitter around, gently brush it off with a dry, clean paintbrush. Do your best to not get it everywhere, but you'll probably walk around with sparkles on your face for a while. I love the way they came out! Try combining different colors and shapes, or try using a small glue applicator for fine linework. 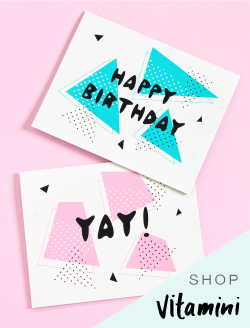 Make a set or two and give them to your friends as gifts! 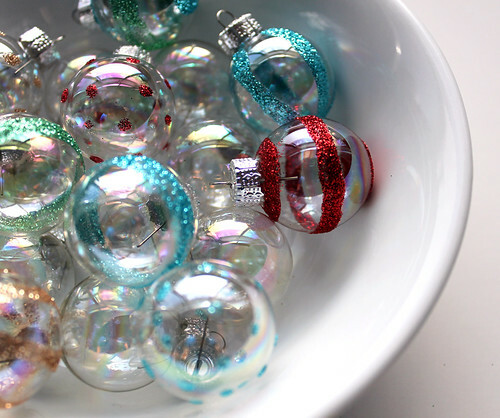 This is such a cute idea, these ornaments are precious.